Data Transfer Plan is a service that provides easy-to-use and cost-effective transfer plans. Alibaba Cloud Data Transfer Plan is a cost-effective service. It supports multiple services, including PayByTraffic-based ECS, EIP, SLB, and Internet Shared Bandwidth services. Data Transfer Plan is easy to use. After your purchased data transfer plan has been activated, it is automatically used to cover the data transfer generated by the corresponding services in multiple regions. Subscription-based transfer plans cost less than Pay-As-You-Go transfer plans. Your data transfer plans can be shared by PayByTraffic-based ECS, EIP, SLB, and Internet Shared Bandwidth services. After your purchased data transfer plan has been activated, it is automatically used to cover the data transfer generated by the corresponding services in multiple regions. No additional operation is required. Based on the traffic consumption in your data transfer plans, you can easily learn the the overall Internet traffic consumption. Data Transfer Plan offers quantity discounts. The larger the transfer plan, the larger the discount. Data Transfer Plan provides multiple types of transfer plans, including Mainland China transfer plans, international transfer plans, and Hong Kong transfer plans. Data Transfer Plan provides multiple types of transfer plans, including Mainland China transfer plans, international transfer plans, and Hong Kong transfer plans. The Mainland China and international transfer plans cover multiple regions. Your data transfer plans can be used to cover the data transfer generated by PayByTraffic-based ECS, EIP, SLB, and Internet Shared Bandwidth services in the corresponding area. 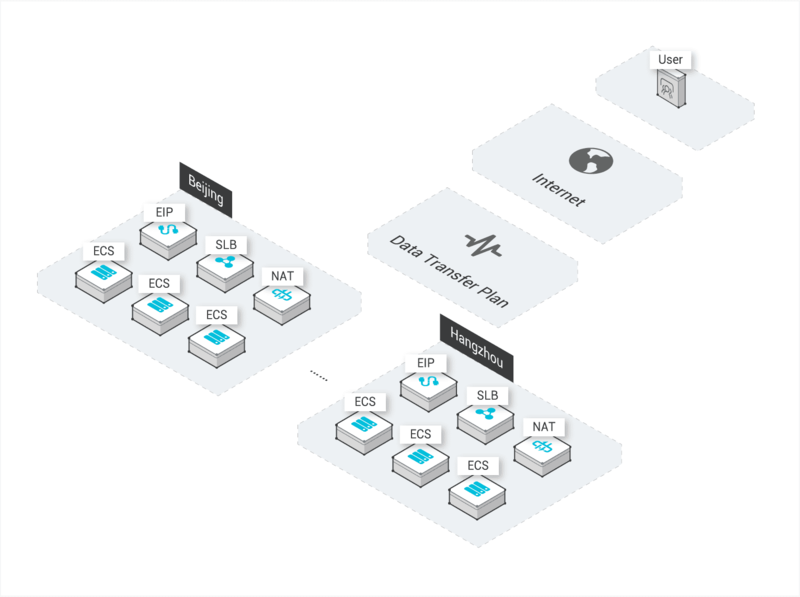 Your data transfer plans can be used by PayByTraffic-based ECS, EIP, and SLB services whenever possible in the corresponding area to save traffic costs. You can purchase cost-effective data transfer plans to save costs when you have high traffic usage. By using Data Transfer Plan, you can easily summarize incoming and outgoing Internet traffic and collect statistics.